Type 583a / M 178. Fire control post for medium and heavy batteries. Heerenduin, Ijmuiden, The Netherlands. 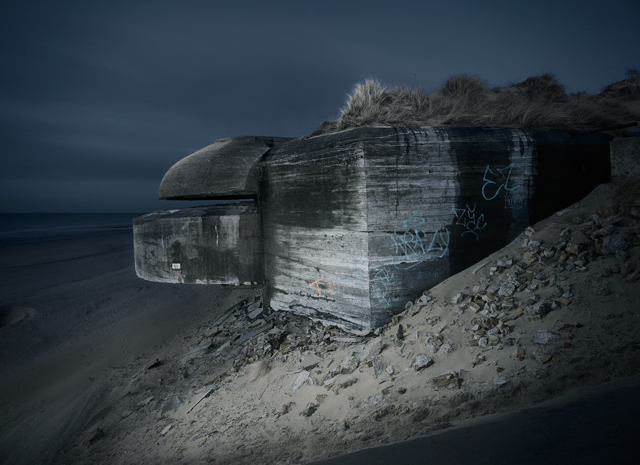 World War II military bunkers are still present in Europe. 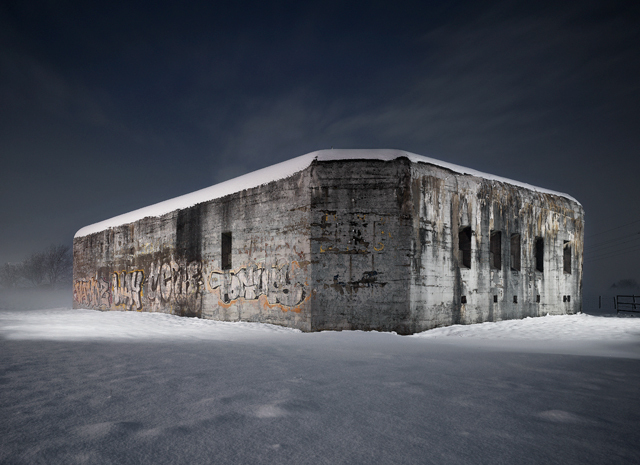 These imposing concrete structures have stood the test of time, some reused but most of them abandoned a long time ago. 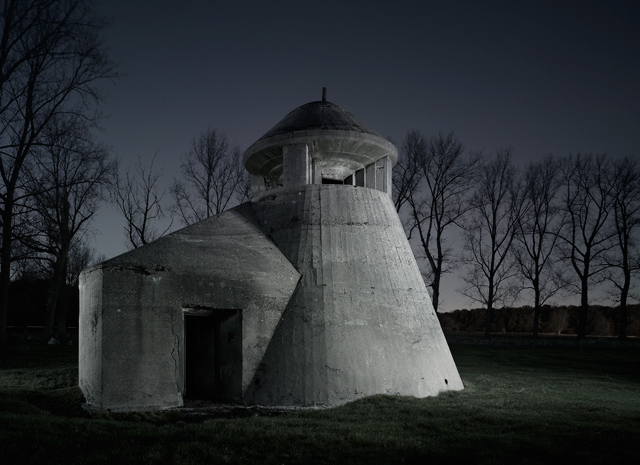 Photographer Jonathan Andrew documents in his “WW2 Bunkers” series the current condition of these structures in The Netherlands, France and Belgium. 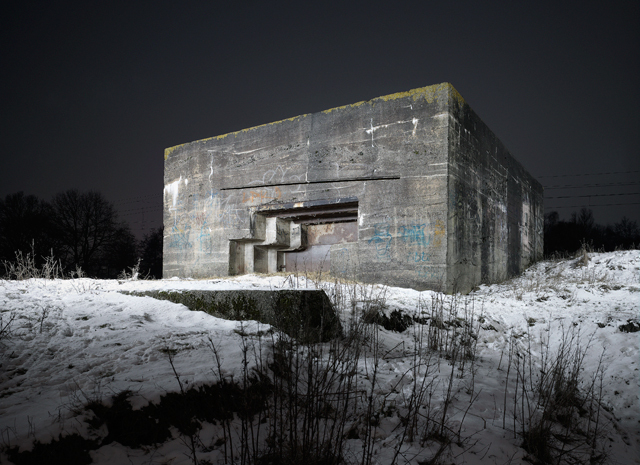 These images are a reminder of the conflicted past in Europe. Type L483. 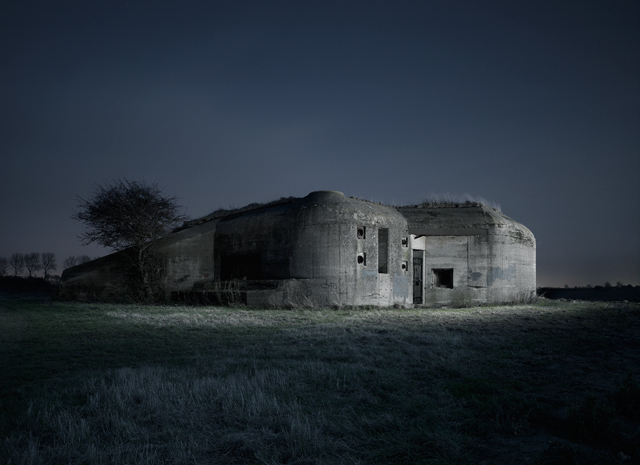 Central radio transmitter bunker. Spaandam, The Netherlands. Type 703. Emminkhuizen, South of Renswoude, The Netherlands. Type 669. Heensche Mole, The Netherlands. 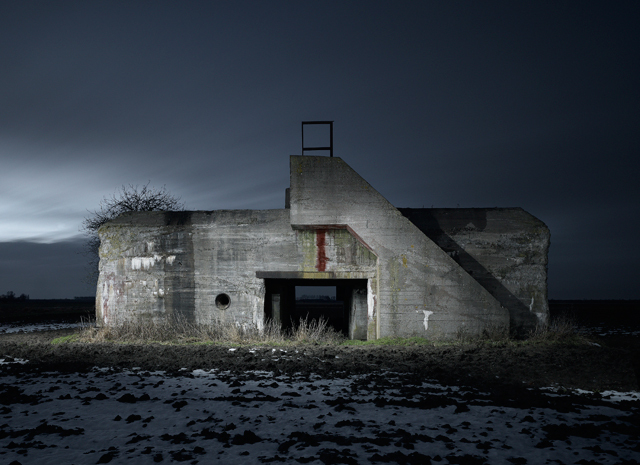 Military casemate Type 623. West of Koudekerke, The Netherlands. SK observation tower. Fliegerhorst, Hemiksem, Belgium. R636 fire post control. 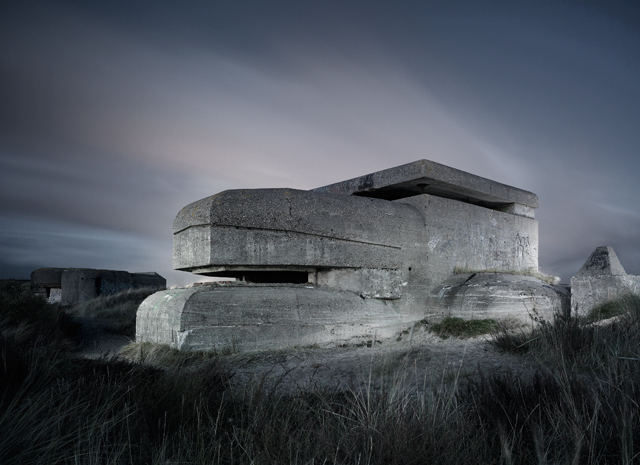 Leffrinckoucke / Zuydcoote, Plage l´Ouest de Zuydcoote, France. 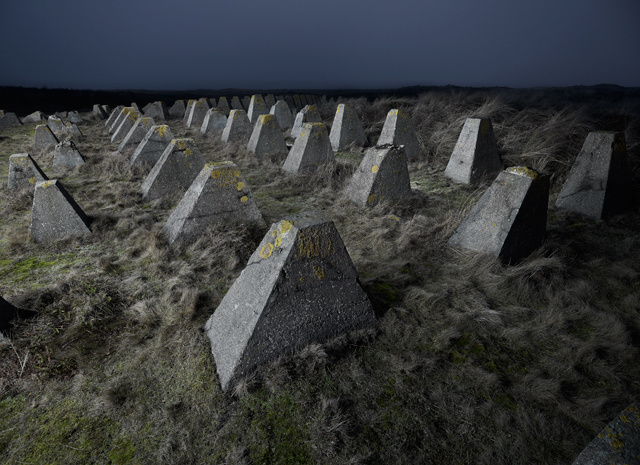 Dragon teeth. Riegelstellung Dune, BPT. 34 WN. 136H. Jonathan Andrew is an experienced and award winning photographer. Originally from Manchester, he lives and works in Amsterdam. His work encompasses commisions for advertising, design and editorial clients, as well as personal projects.